Sky Scarf: January through April skies. 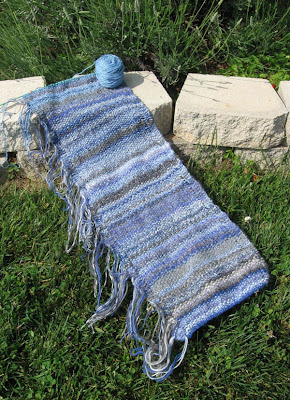 This is 4 months of the 2012 Sky Scarf project. The last week of April brought cool, pleasant temperatures perfect for working in the garden and knitting outside. The lavender in the garden is knee high. April 30 gently blended into the first day of May.